Communication campaign in the media informing about the exhibition and the accompanying events. Media relations activities; supporting the organisation of a press conference. 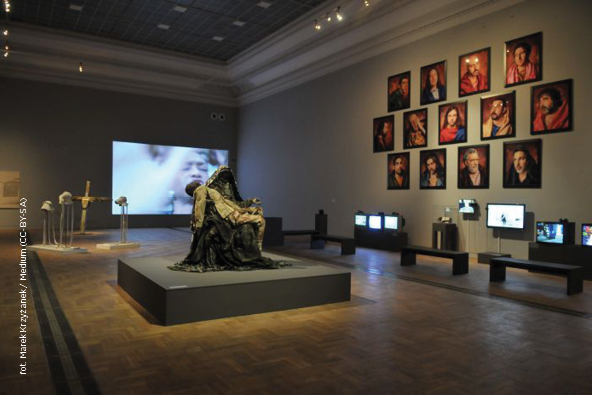 One of the most popular contemporary art exhibitions in Poland in 2013 – “In God We Trust” was visited by nearly 30,000 people. The exhibition had one of the largest presence in the media among all positively reviewed artistic events in 2013. The information about the exhibition appeared in major media channels in Poland, including opinion-forming weeklies and journals, as well as popular women’s magazines. Thanks to the broadening of the scope of activities, positive reviews of the exhibition appeared also in the conservative media. Moreover, the “In God We Trust” exhibition was the topic of a dozen of interviews broadcast on all major radio stations.